Just letting you know that this INTENSE post is sponsored by my friends at Champion! A high intensity workout, that requires no equipment, and will only take you 15 minutes! Ladies, this one is for Y-O-U. Did you know that it’s the 40th anniversary of the sports bra?! You know, ‘cause you can JUMP AROUND with NO FEAR, because you’re rocking’ your well-designed Champion sports bra! Super fun fact: they’ve actually created a dedicated 40th anniversary Sports Bra Style which is available now! You can tell its kind from the jock tag on the back, that calls out year 1977 – or the year the first sports bra was sold. I’m wearing it in the photos and I L-O-V-E it. SO comfy. SO cute and SOSO supportive. If you’ve been following FFF for a little while, you know that I LOVE to lift weights. Intense workouts are my jam. Mr. FFF actually gets bugged about it school because I “show him up.” ???? But it’s always an issue making sure I’ve got functional workout clothes that allow me to KILL IT during my lifting sesh. How-EV-er, thanks to Champion, a lack of physical support is NO LONGER a barrier for me to ROCK those deadlifts OR even do 100 burpees. Real talk: I don’t do 100 burpees. I feel like both you and I can agree that you would have to be NOT HUMAN to be such things. But, internet friends, where I have REALLY noticed the AWESOMENESS of this Sports Bra, is during my HIIT treadmill intervals. Have you ever tried to run 10-12 MPH with lackluster undergarments? Uhm. Do. Not. Do. It. I’m not sure if you’ve ever made the connection between your gym apparel and reaching your fitness goals but, internet peeps, it is HUGE. If you’re always conscious of what you’re wearing, and hoping that it will do its job, there is no way you’re going to be able to run as fast, lift as intensely, tear up the dance floor ETC. The proper support system can truly help you BREAK through those plateaus. And you probably didn’t even THINK about it. Also, use the promo code offer your readers an exclusive product promo code that will save them 20% off for the entire family: we will supply you with the promo code upon accepting the assignment. P.S. you CAN grab a bra! Now through September 15th get 20% off your order with my code Taylor6! Click HERE to use it! Your Savings – 20% off your order! (Max Discount allowed $30. Excludes Champion Life/Europe, Outlet, and all Clearance items. May not be combined with other promotions. Code must be entered during checkout. Offer expires 9/15/17. 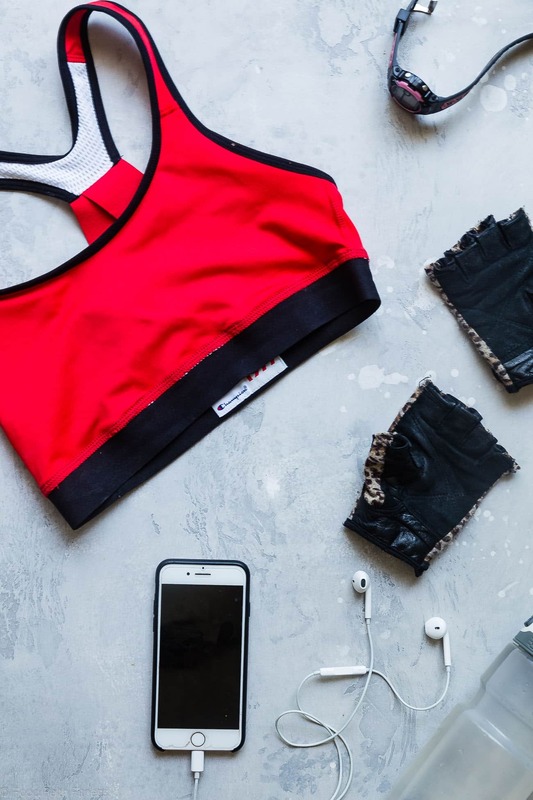 The connection between undergarments and a successful workout is SOOO important. Always a good reminder! Thanks for the nice little workout and the promo codes! I definitely need to say congrats to my sports bra! 😀 Excellent idea which I am going to use as a passionate HIIT workouts lover!